Boston police officer Kenneth Grubbs grew up in the community he now serves: Roxbury, one of the city’s roughest neighborhoods. Knowing it as well as he does, and being a youth service officer who’s been on the force for 32 years, he knew a change needed to be made. As the department was trying to find different ways to gain people’s trust, they brought out an old ice cream truck. Seeing the initial strong support for the program, the BPD decided to take it to the next level. Teaming up with the Boston Police Foundation, a private foundation formed to provide financial support for the BPD, they purchased a brand new truck. They brought in hometown company Hood Ice Cream, known for its Hoodsie ice cream cups, to provide the goods. 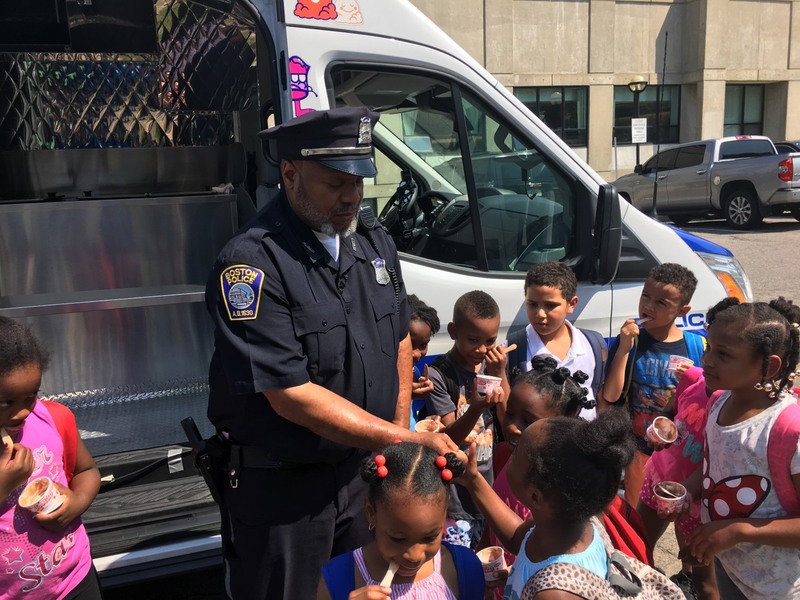 It seemed like a great opportunity — there’s no better way to get children to trust police than with ice cream, Grubbs said — so the BPD started taking the "Operation Hoodsie Cup" truck to the streets in July of 2010. Since then, it’s become so popular, the department needs help from the Boston Police Cadets to keep up with the demand to be at city events. It’s easy to understand why the children love it. They get free ice cream, donated by the Hood company, and they make friends with the officers. But the grown-ups like it, too. “It gives the adults the opportunity, if there’s something going on in the community they want to share, now they’ve got the officer’s ear,” Grubbs explained. 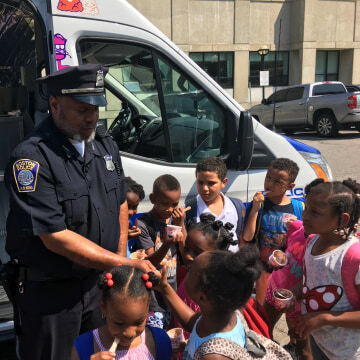 The Boston Police Department said that, since it started using the ice cream truck seven years ago, it's given out more than 150,000 Hoodsie cups. Over the summers, they give out close to 10,000 cups a month. Other police departments around the United States are also using ice cream trucks, including St. Louis, Missouri and Cleveland, Ohio. “These kinds of projects show [the community] that we care about more than just arresting,” Grubbs said. 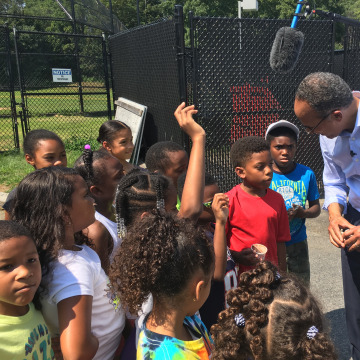 Andrea Swain, the executive director of the Yawkey Club, part of the Boys and Girls Club of Boston, said the program breaks down barriers to communication so that young people can trust the police. “It fosters the relationship, an affirmative, positive relationship, between the police [and] the young people,” she said. In fact, the program has done more than that. 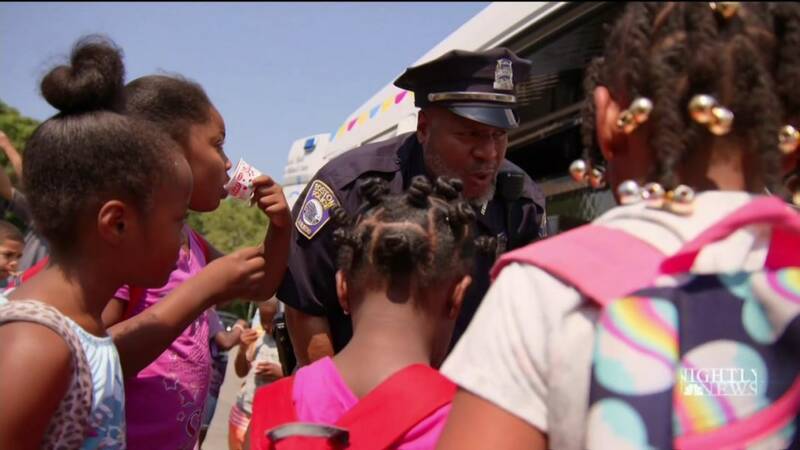 “Anybody here want to be a police officer when they grow up?” Holt asked a group of children visiting the truck. 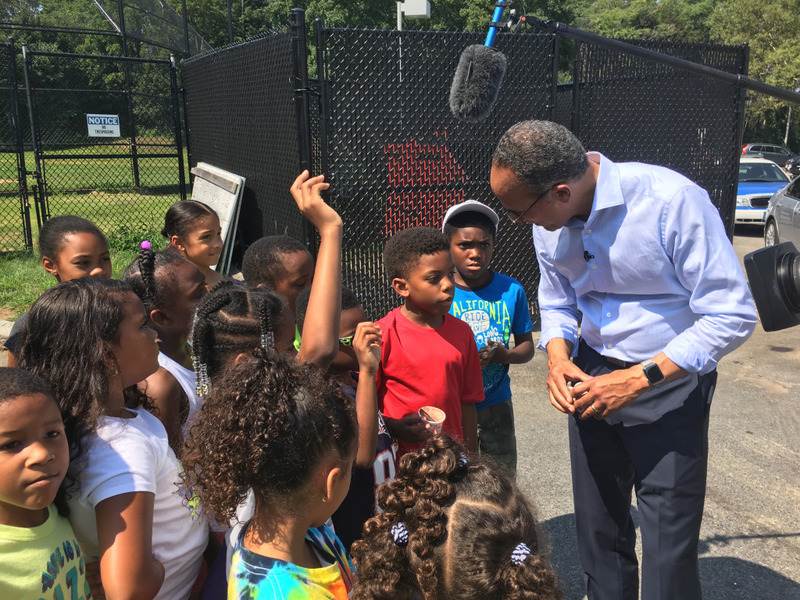 The truck may be the vehicle, but it’s the people inside it that are motivating these children — especially Grubbs, who also coaches youth basketball and hosts a cable show. He’s one of the most well-liked officers in the community. Al Peeples grew up admiring Grubbs. Now, the 33-year-old is a community activist.